After Follow Me Into Madness, Tarot could already be called a contemporary and accomplished pioneer in the Finnish metal scene, but times were changing against them. Years before grunge started hammering the global popularity of heavy metal, the Finnish scene was overtaken in the late 80s by many speed/thrash bands, a troupe led by local legends Stone (yeah, the group Roope Latvala was in and the band Children of Bodom "coincidentally" really digs). Combined with business-related problems and the removal of guitarist Mako H, it took five years for the band to conjure up their third record, To Live Forever. The most significant factor affecting the drastic changes in Tarot’s sound is that Mako H was never replaced on guitar. Zachary Hietala remained as the lone axe scorcher (yes, his solos dominate on this album as well) and keyboard player Janne Tolsa joined the group almost by accident prior to the recording of this album, leading to a marked emphasis in the atmospheric elements in the songwriting. In this case, we're talking about brooding, dark atmospheres, of course. 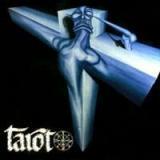 Tarot’s early material was raging in its own right but here the band really ups a kind of intimidating presence in their music instead of going balls-out like on the two first albums. If those records were more like a horde of orcs charging straight at you, this record marked the beginning of a much more controlled attack, almost like the horde hiding behind a cliff to wait for the perfect moment to destroy you. This effect is most apparent in the decrease of overall tempo of tunes. There are still the kind of brilliant speed demons like Do You Wanna Live Forever, In My Blood, Shame and Sunken Graves (devastatingly awesome track, much like Breathing Fire on the previous record). But more epic mid-tempo tracks like The Invisible Hand, The Chosen and Tears of Steel drive the core of the album forward with imposing yet restrained force. The band subtly plays with time signatures here and there, never to the point of noodling but to create great little hooks. Fans of straight-up metal shouldn’t be worried either. Witness the opening riff of Live Hard Die Hard and bow down in respect! Marvel at the Dio-era Sabbath-ness of Iron Stars and pump that fist. Speaking of Black Sabbath, the presented cover of Children of the Grave is excellent and a live standard for Tarot for many years. As on the previous records, the album is capped off by a ballad, Guardian Angel, a track of extremely supreme and emotional quality. The liner notes really put this song in words better then I could, in that it “made even the harshest heavy metal men grow humble.” Simply one of the best metal ballads I've ever heard. The 2006-reissue has only one bonus track this time. The acoustic version of Do You Wanna Live Forever is a good curiosity that shows how well their heavy material works in an unplugged setting. My worship of Marco Hietala has been very clear throughout my Tarot-reviews but here he really starts to sound like just his inspiring self, not a very skilled disciple of Ronnie James Dio. From unhinged aggression like on Sunken Graves to the crooning on Guardian Angel, it was pure owning from here on out. This is more than fitting because on To Live Forever, the band as a whole has found a sound of its own. For the first two albums, I could pretty much claim that put Iron Maiden and Rainbow in an angry blender and you’ve got Tarot but here I can only say that they sound like Tarot. Maybe it’s the keyboards, maybe I don’t know enough older, even more obscure bands for adequate reference, but this is where Tarot began to rule. Fans of the band's more simple, early days-metal of continuous headbanging can understandably be let down by the changes, but I see the direction taken on this record as an improvement. Yes indeed, awesome heavy metal made in the 90s is not an oxymoron. Here lies some solid proof.